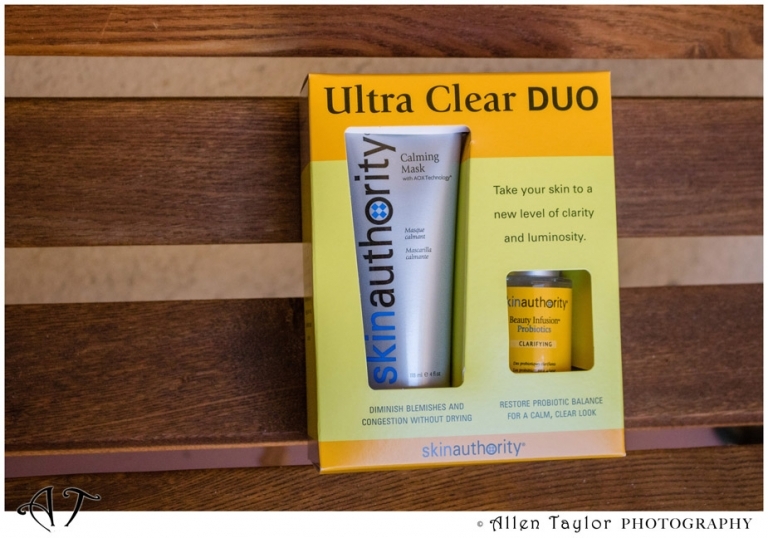 I first learned about Skin Authority when I stayed at The Oaks at Ojai for a weekend wellness retreat. I liked it so much that I returned again (here). Both times I enjoyed amazing facial treatments at the spa which uses products designed by Skin Authority. The trade-marked program, the BeautyWorkout™, customizes home product routines to fit busy lifestyles. Every clients has her own certified skin coach who is available via Skype, FaceTime or email to help get started, answer questions, and stay motivated. Mine keeps in touch with me periodically to make sure I stay on track and provides tips and guidance. And of course, when there is any new promotion going on, I am the first to know! I was so excited when the Ultra Clear DUO came out, I had to try them! I have matured skin and occasionally I still experience break-outs. I also have very sensitive skin that flushes quite easily, so I was hopeful the Ultra Clear DUO might be able to help. First I clean my face with a facial cleanser to rid of any dirt and makeup. I lightly pat dry my face and then immediately apply the Calming Mask. This aromatic, medicated masked is infused with eucalyptus, sulfur, and purified clay designed to exfoliate, calm and hydrate inflamed skin caused by acne, aging, rosacea, and other medical conditions. When you first put it on, it warms slightly. After about 10 minutes (or until it’s dry), I then rinse it off with lukewarm water completely and pat dry. I absolutely love how smooth and silky my skin feels but not drying. I use it twice a week to diminish blemishes and congestion. As part of my routine, I also use Skin Authority Brightening Serum. It contains naturally derived spot suppressors that work with oligopeptides and AHA exfoliators to help even out skin tone, fade spots and smooth texture for skin that is clearer and more luminous. It is lightweight and safe to use while pregnant or nursing. As a bonus, a full size of the Clarifying Beauty Infusion with Probiotics (retails $49.00) is included with the purchase of the Calming Mask. This product is excellent at treating acne, balancing the skin, and preventing breakouts. It’s also great at reducing pore size and calming down any inflammation in the skin. I add 2-3 drops to my moisturizer. You can also just apply directly on the skin as primer. I love how glowy and healthy my skin looks and feel. Make this Ultra Clear DUO part of your skin care routine. You even get FREE ground shipping within continental USA, simply use ‘FREESHIPPING’ in the Coupon Code at check-out. Give them a try and let me know how you like them! Visit and like my FB page for more current event updates. Follow me on Twitter and Instagram. Disclosure: No monetary compensation was received for this post. I was provided with the products to help facilitate this review. All opinions are my own.